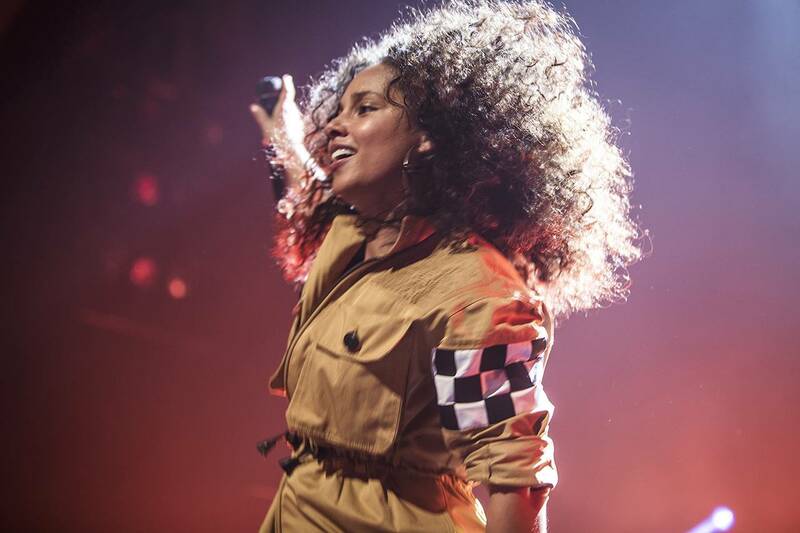 Alicia Keys – Landmarks Live in Concert kicks off a new arts strand within the Great Performances series, beginning Friday, January 20 at 8 p.m. on OETA-HD. This will be followed the next week by Brad Paisley – Landmarks Live in Concert on Friday, January 27 at the same time. Eight episodes in all are planned for the first season. Chad Smith, the drummer for the Red Hot Chili Peppers, serves as host for the series and conducts one-on-one interviews with the artists exploring their favorite locations around each Landmark. There will be additional lifestyle segments with special correspondents, MTV veteran Matt Pinfield and Instagram star Gabby Epstein. The show is being shot in locations around the world, including London, Paris, New York, Havana, Philadelphia, Los Angeles, Jamaica, West Virginia and many more with major artists performing shows for their fans in front of landmarks to which they have a connection. The travel component of the show, which is co-produced with Bungalow Media + Entertainment, shows how the particular cities influenced the artists’ careers and shaped their music. The series premieres with a native New Yorker from Hell’s Kitchen, Grammy Award-winning artist, Alicia Keys. Her collaboration with Jay Z, “Empire State of Mind,” instantly became the City’s newest anthem. In this debut Landmarks Live special recorded over a one-year period, Alicia’s love affair with New York continues as she performs in notable locations all around town including the City’s world famous Circle Line harbor tour, the Unisphere in Queens, and Harlem’s Apollo Theater. The following week, country music superstar Brad Paisley returns to his roots in the beautiful Appalachian Mountains for a special outdoor concert at West Virginia University. As the hit-maker behind 23 number one singles and the winner of just about every Country music award imaginable, Brad brings his unique skills as a singer songwriter, guitarist and entertainer back to his home state as well as to “viewers like you” everywhere. “I am so pleased to be partnering with WNET and its prestigious Great Performances series. It has been a dream of mine to bring real family entertainment and top notch music programming as part of a series to PBS for a while,” says series Creator, Director and Executive Producer Daniel E Catullo III, who is also the CEO of City Drive Films. In addition to being a member one of the most successful bands of all time, Grammy Award-winning and Rock and Roll Hall of Fame inductee Smith is one of the most highly sought after session drummers whose credits include Johnny Cash, George Clinton, The Avett Brothers, Kid Rock, Dixie Chicks, among others. In 2014 Smith was honored to be appointed by President Barack Obama to the Turnaround Arts Committee which brings arts education programs to the lowest-performing schools in the country. “Working on Landmarks to create a new series which focuses on the artists’ stories, not just the performances, is something that I’m truly excited about. Landmarks is a real collaboration between a unique creative team and artists that will certainly change how music shows are approached,” says Smith. The final roster of artists to appear on Landmarks Live in Concert’s first season, and locations will be announced shortly.